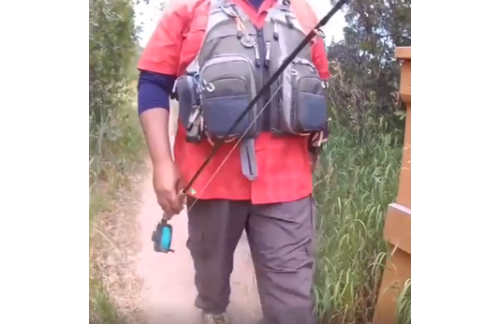 http://www.maximumcatch.com/index.php?route=product/product&path=71_117∏uct_id=105 ● Adjustable size,24.5 oz./700g ● Various sturdy zip compartment provides multiple function ● Can fit for most anglers comfortably and meet all your need ● Two shell pockets with fly patches for large storage ● Equip with rod holder strap This vest is born for outdoors man (fishing hunting hiking and camping),multiple sturdy zip compartment provides multiple function. This V-mesh vest can fit for the most body comfortably and meet all your need Two shell pockets with fly patches can increase the storage possibilities. Rod holder strap can hold the rod tube. Comfortable mesh back reduce the weight and dissipate heat Plenty of pockets for storing a lot of gear and keeping it protected and organized.